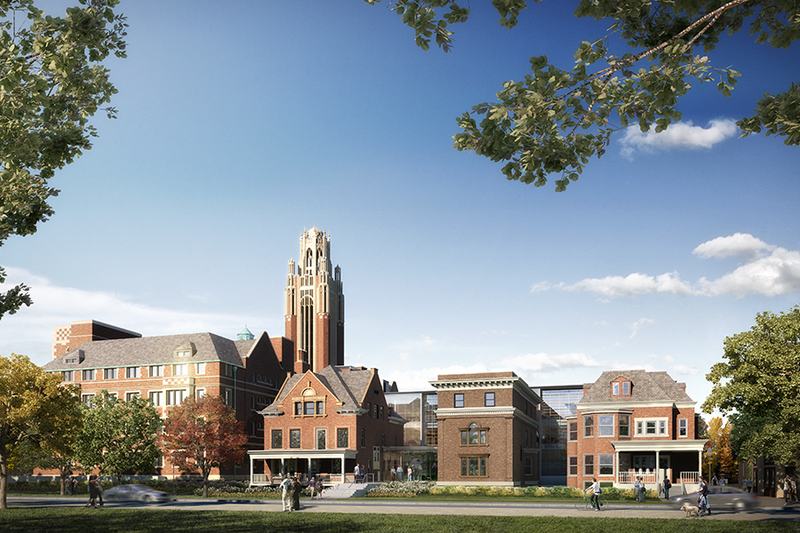 OLIN’s design for the University of Chicago's Saieh Hall for Economics corridor fits within the overall existing historic context of the campus and creates multiple scales of spaces–including a pedestrian entry, enclosed plazas, overlooks with movable seating and table, amphitheater seating, and small gardens. 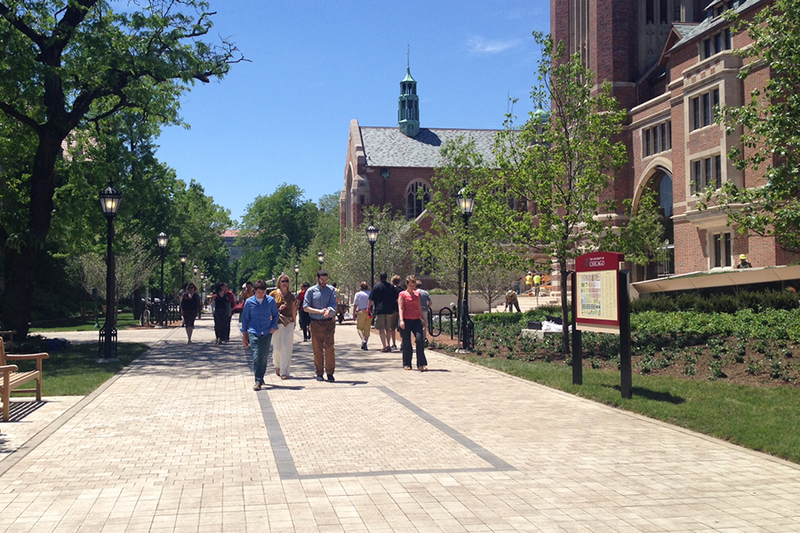 The design opened elevated terraces along 58th Street, creating gathering spaces for interactions between students, faculty, staff and the public. Irrigation utilizes 100 percent collected water while the terraces contribute to stormwater treatment and mitigation of the heat island effect.